At every pool owner’s equipment area, there is a means by which their pumps and other equipment items are controlled. Simple switches, mechanical timers, and even high-tech computer systems are some means of system control. 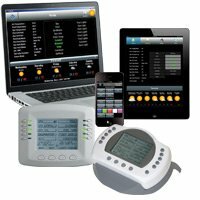 These systems can vary greatly as to functionality and types of components, so it is critical to have someone with the expertise of Select Pool Services technicians to install and/or repair your control system. For simpler pools with no spa or elaborate features, a mechanical system may be the most appropriate way to control pumps and lights. Switches and clock-like mechanical timers comprise these systems. Typically, the lights are driven by simple light switches in or near the house or even at the equipment area. The timers normally have integral or separate freeze protection devices that turn the pumps on during freezing weather. In some cases, older pools with spas use these systems, requiring the pool owner to turn valves and start heaters manually in order to enjoy the spa. 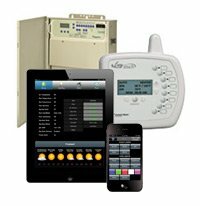 These systems can be easily updated to automated systems. An automated system uses sensors, PCB boards, relays, and actuators to control most or all of the functions of a pool and/or spa. There are several options for interfacing with these systems, some of which are limited in their capabilities. The most advanced systems are those that can be controlled via almost any web-enabled device, and these can have macros programmed for turning on several equipment items at once. Some controllers are wired and hang on an interior wall while others are water-resistant, hand-held devices that work via radio frequency transmissions. Select Pool Services personnel are intimately aware of each system’s capabilities and can help you decide on a new automated controller or diagnose and repair problems with even the most complex system. Mechanical system failures are typically simplest to diagnose. Timers have motors and gears that sometimes fail, and any high-voltage component is subject to potential electrical problems. Every Select Pool Services technician is licensed through the State of Texas to diagnose and repair any pool equipment electrical issue you may experience. This is especially important should a problem arise with your delicate automated system. Knowing how things should be wired and should normally function is the key to resolving any automation problem, from relays to communication wiring between the controller and equipment area. Whether your system is malfunctioning and in need of immediate repair, or you have questions about the options available for pool automation, contact us today and speak to a highly trained, licensed technician who can keep your pool running as it should.